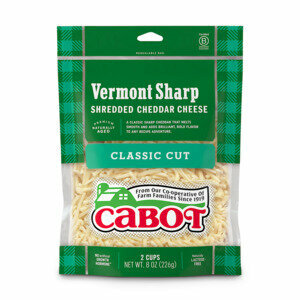 Want to kick up your mac and cheese a bit? Our Stovetop Cheddar Chicken Mac & Cheese is just the recipe you need. 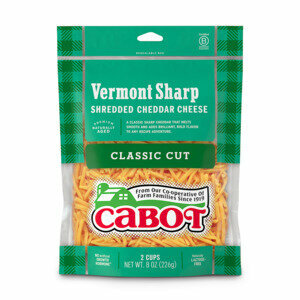 The lovely combination of Cabot Sharp Cheddar, chipotle chili (which can add just the right amount of heat) and chicken makes a wonderfully flavorful dish that you’ll want to make again and again. After you’ve made it, be sure to share this recipe with friends and family on Facebook, Pinterest, Instagram, and Twitter. Ready to make this savory meal? It’s surprisingly easy to prepare, making it a great dish for those especially busy days. Gather all your ingredients and begin by preparing pasta according to the package directions. 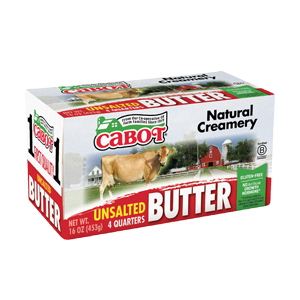 Meanwhile, melt Cabot Unsalted Butter over medium heat and then add shallot and cook, stirring until it’s slightly softened. Make roux by sprinkling flour over the shallots and stir to dissolve flour into the butter. Whisk in milk until flour mixture is incorporated, then whisk in seasonings (chipotle chili, garlic powder, salt, and pepper). Turn heat up to medium-high and whisk constantly, bringing to a simmer and cooking until sauce is thickened. 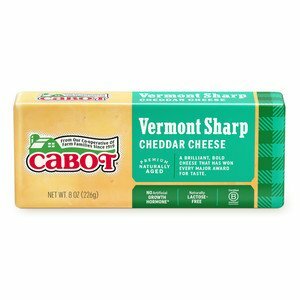 Remove from heat and stir in cheddar cheese until it completely melts into the sauce. In a large pot, stir together the hot cooked pasta, sauce, and chicken. Want to try another mac and cheese recipe with some zing your taste buds will welcome? 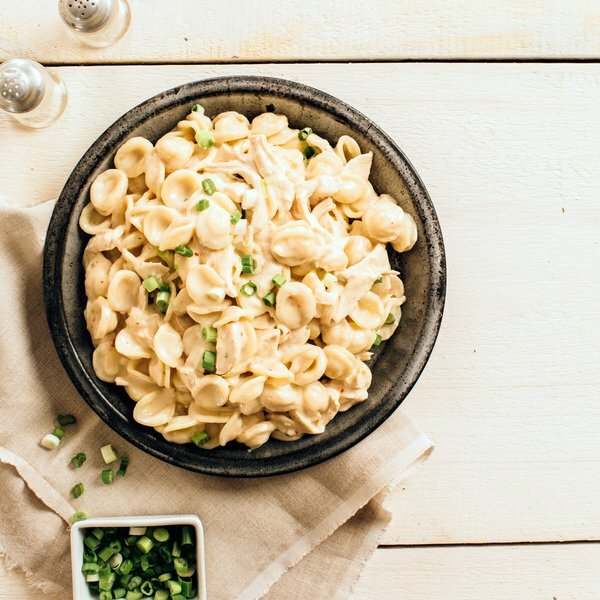 Our Horseradish Mac & Cheese promises to deliver flavor and creaminess with the combination of our Horseradish Cheddar, cottage cheese, and sour cream. 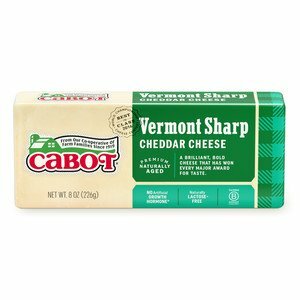 Cabot is committed to producing the very best products on the planet, and that commitment shines through in all of the recipes we feature. We’d love for you to rate and review this stovetop chipotle chicken macaroni and cheese recipe so let us know how you enjoyed it! BRING a large pot of salted water to a boil, prepare pasta according to package. Drain well. MELT butter in a medium saucepan over medium heat. Add shallot and cook, stirring until the shallot is slightly softened, 1 to 2 minutes. Make roux by sprinkling flour over the shallot and stir to dissolve flour into the butter. Whisk in milk and continue whisking until all of the flour is incorporated into the milk. Scrape along edges of the saucepan with a heat-proof spatula make sure no roux remains in the corners. WHISK in Dijon, garlic powder, ¼ teaspoon salt and pepper. Whisking constantly, increase heat to medium-high and bring to a simmer and cook until thickened, 2 to 3 minutes. REMOVE the sauce from the heat. Stir in cheddar cheese and whisk until completely melted into the sauce. Stir the hot cooked pasta, sauce, and chicken in the pasta pot. Serve hot.